Three young trees each make a wish. When they are felled, it seems as if all their dreams are over. But each is destined to play an important part in the life of Jesus, and in this their dreams are more than fulfilled. This moving tale, which provides an insight into the life of Jesus, is now available in an appealing mini sized format which brings new life to a top-selling classic retelling of a traditional tale. Christy-Award winner Angela Hunt writes for readers who expect the unexpected in novels. With over four million copies of her books sold worldwide, she is the best-selling author of more than 125 works ranging from picture books (The Tale of Three Trees) to non-fiction books, to novels. Tim Jonke has illustrated a number of children's picture books including A Night the Stars Danced for Joy and The Easter Angels. 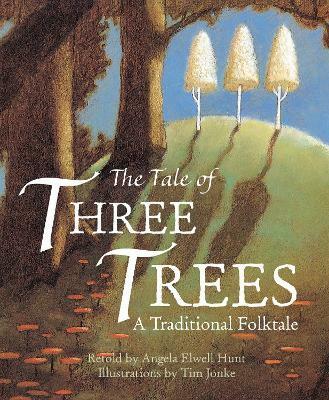 His illustrations for the original version of The Tale of Tree Trees met with great acclaim and were shortlisted for the WHS Illustration award.